Unfortunately due to the ongoing weather warning in the Boston area, we have taken the decision to cancel our seminar planned for tomorrow morning. We regret any inconvenience this decision has caused but it has been taken with the best interest and well-being of our all our speakers and delegates who have to travel. We will re-arrange the seminar for later in the year. A structured and wide-ranging discussion on the ongoing changes in the European regulatory environment which impact on US managers will be a significant feature of the seminar. Agenda details are available further below. 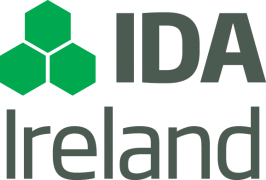 Interested in speaking at Irish Funds Events? Irish Funds would like to hear from those who are interested in participating as potential speakers for our international events. Submit your details or suggest a third party speaker. 8.30 - ​Registration and Breakfast. 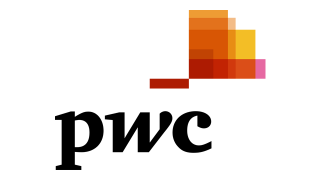 9.15 - Panel Discussion: Global fund distribution – what’s hot? 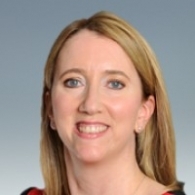 Tara Doyle is a partner in the Asset Management and Investment Funds Group at Matheson. She practices financial services law and advises many of the world’s leading financial institutions, investment banks, asset management companies, broker-dealers and corporations carrying on business in Ireland or through Irish vehicles. Tara has extensive experience in advising a wide range of domestic and international clients on the structuring, establishment, marketing and sale of financing and investment vehicles and products in Ireland and other jurisdictions. 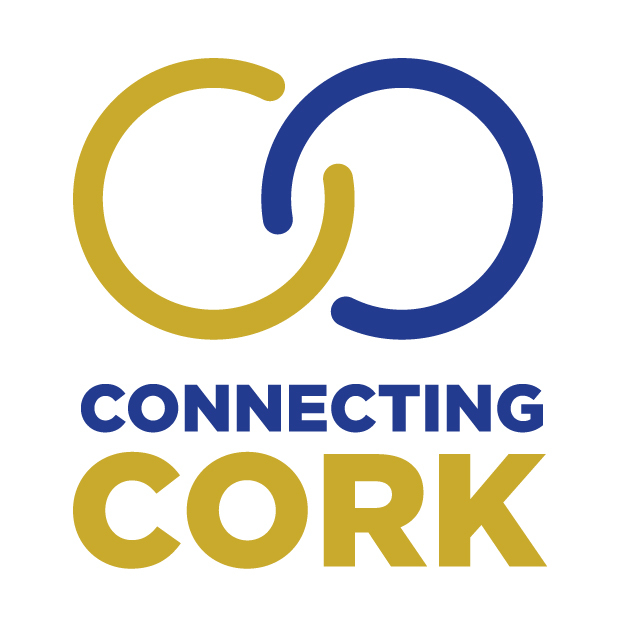 In particular she specialises in advising on the legal and regulatory issues surrounding the establishment of private and public investment funds, the structuring, offer and sale of investment instruments and investment products, the provision of investment advice and other financial services and the public issuance of equity and debt securities. 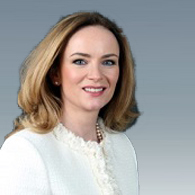 Tara is a current member of the Council of the Irish Funds Industry Association Limited (Irish Funds). She has spoken at a number of international financial services conferences, including Irish Funds' seminars in Milan, Frankfurt, New York, Boston, Hong Kong, Tokyo and Singapore and has contributed articles to financial services and investment industry journals. 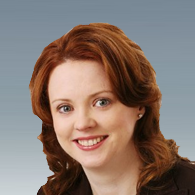 Tara is a member of both the Irish Funds' Money Market Fund Taskforce and Marketing Committee. 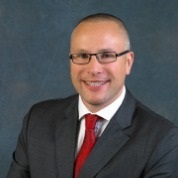 Christopher D. Christian advises U.S. and European asset managers and investment funds and their boards of directors, including U.S. registered funds, funds organized under the European Union directive on Undertakings for Collective Investment in Transferable Securities (UCITS), and funds organized in other jurisdictions offered on a private basis. Mr. Christian’s practice has a significant international component. He advises offshore funds on compliance with U.S. regulatory requirements and routinely counsels European retail and institutional funds on organization, registration, corporate governance, and global distribution issues. He has assisted clients in coordinating offering advisory services and various types of investment funds in compliance with local law in jurisdictions in Europe, Asia, the Middle East, and Latin and South America. Mr. Christian is Chair of the International Bar Association’s Investment Funds Committee. Bury Street Capital represents mainly US based boutique fund managers in Europe. 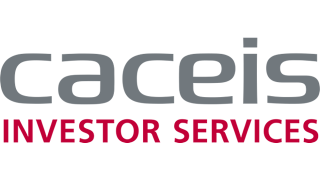 The principle activity is institutional fund raising from pension funds, insurance companies, sovereign wealth funds, foundations, banks, family offices and independent wealth managers. Fund managers the company represents cover the long only, hedge fund and real asset categories. 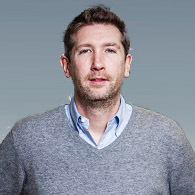 Robert founded the firm in 2005 and prior to that was the Chief Investment Officer of Asymmetric Capital Management, a specialist convertible bond arbitrage hedge fund manager. Asymmetric was a joint venture between Robert and Jefferies & Company, a New York Stock Exchange-listed Global Investment Bank. Before Asymmetric, Robert was Chief Executive of Pavilion Asset Management, a fund management company owned by Seymour Pierce Group plc, a Managing Director at Credit Suisse First Boston, where he ran their International Equity Linked sales and research business, and Bankers Trust, where he set up and ran their European Distressed Debt trading business. He originally trained as an equity portfolio manager. He graduated from Portsmouth Polytechnic with a first class honours degree in Business Studies. Mr. Hector McNeil serves Founder and Co-Chief Executive Officer of HANetf Limited and served as a Co-Chief Executive Officer at WisdomTree Europe Limited. Mr. McNeil was Head of Sales and Marketing at ETF Securities Ltd. Mr. McNeil was responsible for sales and marketing for the ETF Securities group of companies. Mr. McNeil started his career at the London Stock Exchange. He left the LSE to study full time for an MBA at Warwick Business School. He then had a short stint at BZW before moving to Morgan Stanley for five years. 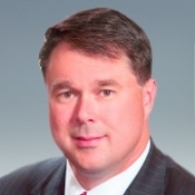 From Morgan Stanley, Mr. McNeil moved to become Chief Operating Officer at Jiway, the Exchange joint venture between Morgan Stanley and OM Gruppen. Mr. McNeil spent time at Nomura, and then was Head of Business Development at Susquehanna International Securities, setting up a highly successful market making and liquidity provision business which included ETF, stock future and equity market making. He serves as a Director of Boost Issuer PLC. He studied at the University of Hull. He also holds MBA at Warwick Business School. Andrea Kelly leads our Alternatives Asset management Practice in Ireland and has worked in the industry for the past 18 years. Andrea works with an extensive range of alternative investment clients in Ireland promoted by US and European Investment managers, covering all types of strategies and structures. Her portfolio contains both on onshore and offshore funds, many of whom have complex structures and policies and include a number of hedge funds( including credit, CLOs, convertible arbitrage, distressed debt, and emerging market strategies) , funds of hedge funds, private equity funds and real estate funds, and who utilise US GAAP, Irish GAAP and International Financial Reporting Standards. She has significant consultancy experience,including product structuring advice to hedge fund managers, valuation and pricing reviews, operational control reviews. Andrea is a Fellow of the Institute of Chartered Accountants in Ireland and Andrea is also a member of AIMA. She regularly presents at industry events and briefings on a range of topics including product structuring, distribution strategies for hedge fund managers, valuation policy and procedures and challenges and opportunities around AIFMD. 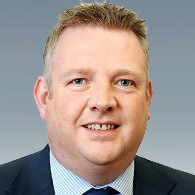 Kieran Fox joined the Association in August 2007 and is the Director - Business Development for Irish Funds. As well as being responsible for working with investment managers and developing our membership offering, Kieran participates in a number of our steering groups including Distribution, Marketing & Promotion and Front Office and has led engagement on specific regulatory matters. Kieran has a BSc Finance and holds a Post Graduate Certificate in Information Systems. Prior to joining us he gained significant experience both in industry and within the regulator. 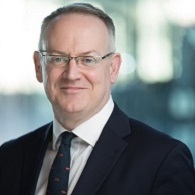 He was a senior regulator and risk specialist with the Central Bank of Ireland for almost two years and prior to this spent seven years in a variety of roles across the front office within the hedge fund industry in London. Kieran represents the Association on the Summit Finuas Network Steering Committee. Breige has over 20 years of professional experience in law and financial services. 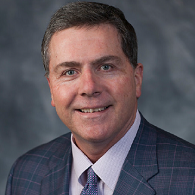 Breige served as Senior Vice President at U.S. Bank and as Vice President of BNY Mellon. Previously a Managing Partner at Carlingford Capital Ltd, an advisory firm providing consulting services to private equity funds and asset managers and before moving into the financial services sector, Breige practiced law in the U.K. with the firm Cleary Gottlieb Steen and Hamilton and worked at the New York-based law firm Felcher, Fox and Litner. Breige holds a LLB from the University of Manchester and a LLM in Commercial Law from the Sheffield University. Andrew Patrick White is the Founder & CEO of FundApps, a company which provides cloud-based regulation monitoring to investment managers. FundApps was voted onto the "FinTech50" - a list of 50 European businesses who are transforming financial services. Before FundApps, Andrew created the compliance monitoring software MIG21 at Aquin Components GmbH. He went on to become the Managing Director & Head of Business Development for Aquin International before exiting with a trade sale to State Street in 2008. Andrew holds a degree in Computer Science, Linguistics & German from Trinity College Dublin. 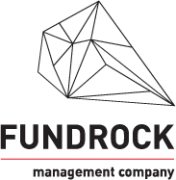 FundApps was founded in 2010 from a spare bedroom in south London but has since grown to 25 people and currently monitors over 3 Trillion USD of assets everyday, servicing 2 of the world's 10 largest hedge funds and 2 of North America’s 10 largest pension funds. Charles, in his role as Chief Operations Officer of the America’s and EMEA, has direct responsibility for the operations support of all U.S. Mutual Funds and UCITS Funds. He also provides business oversight for all other John Hancock Investment and Manulife Financial Asset Management comingled funds and separately managed accounts. He currently leads the Global Fund Administration and Transfer Agent teams providing technical, operational and record keeping services. 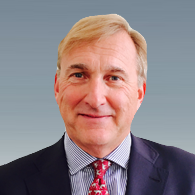 Charles has 30 years of investment company industry experience and joined John Hancock in June 2007. 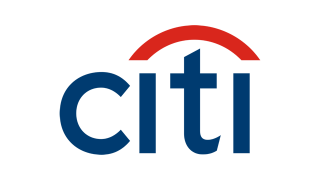 Before this, Charles was Vice President and Manager, Global Product Services, at Goldman Sachs Asset Management. In this role, Charles was responsible for Goldman’s U.S. registered mutual funds and bank collective trust products. For eight years, Charles was a Managing Director at Deutsche Asset Management and Scudder Investments, where he worked as department head for fund administration, and provided treasury oversight for all mutual funds. 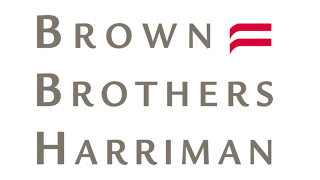 Charles began his career in public accounting at Coopers & Lybrand, LLP in the Boston and Baltimore offices and was with the firm for 12 years. Charles is actively involved with the Investment Company Institute (ICI) and currently serves on the Risk Management Committee and Security Lending Working Group. He also serves on ICI’s International Operations Advisory Committee. Charles is the Co-Chair of the Bentley University Department of Accountancy Advisory Committee. 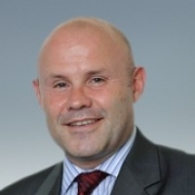 Paul has over 20 years financial services experience providing asset servicing solutions to a broad universe of asset managers, insurance companies, hedge funds and pension schemes. He has worked in a variety of senior operational, product development and client management roles prior to and since joining HSBC Securities Services in 2003. Paul has responsibility for managing product development arising from new global regulations across the Americas, Asia, Europe and the Middle East. He provides regular thought leadership to clients and more widely via contribution to publications, webinars and conferences. Paul holds a Bachelor of Business Studies degree from Trinity College Dublin and is a Fellow Chartered Accountant (FCA) of the Institute of Chartered Accountants in Ireland. Simon worked with the firm in the position of Client Servicing Manager and Business Development Manager in the institutional client segment from 2002 to 2004. From 2005 - 2007 he was a Product Development Manager with KBC Asset Management in Belgium, specialising in the development of innovative structured products for KBC’s distribution networks in Poland, Hungary and the Czech Republic. From 2007 to 2009 Simon was Head of Distribution at the KBCAM’s office in Sydney Australia where he filled the role of investment specialist for the KBC Environmental Funds in that market, alongside a business development role. Prior to rejoining the firm in June 2013 as part of the business development team in North America, Simon was the Senior Vice President responsible for Marketing & Products at Union KBC Asset Management in India. He graduated from the University College Dublin with an Honours Science Degree in Cell & Molecular Biology in 2000, and completed a Higher Diploma in Business Studies in 2001. Anurag Wakhlu, CFA is the Global Business Director for Financial Services at Dassault Systèmes. He brings a powerful combination of both, investment management as well as financial services technology experience, spanning over two decades. Anurag has recently been heading the development of a Customer “360” Intelligence and a Risk Prediction solution, using machine learning and advanced analytics, which has significant applications across asset management, retail banking and insurance. Prior to Dassault Systèmes, Anurag was a Senior Fixed Income Strategist at State Street Global Advisors , helping develop investment strategy and manage risk. 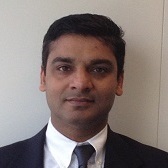 In addition, Anurag has held senior positions at SSGA, Fidelity Investments and consulting firms. He has delivered strategic business value through global enterprise solutions and created sophisticated applications for Investment & Risk Analytics, Trading and Business Intelligence. Anurag has an MBA from Babson College in Massachusetts, and a Bachelor of Technology from the Indian Institute of Technology (I.I.T.) in Bombay, India.